A Colorbond Steel roof provides an instant return on your investment. This is because it does not need to be replaced as often as traditional tile roofs. This will cause, your buildings value to increase immediately and give you piece of mind. 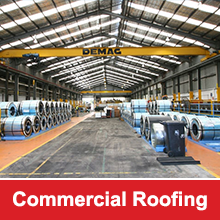 Colorbond Steel Roofs give your building an attractive and more modern look. Old fashioned corrugated iron or tiled roofs can give people the wrong impression when visiting your premises. Why not wow people by giving them a great first impression even before they come through the first door. Colorbond steel roofing is available in a number of different colours. This means when choosing the right colour to match your building, surrounding environment and business there is no issue. With all of the many amenities a commercial building uses on a day to day basis, having an aspect of your building that helps save you money is a must. You will notice a big difference in heating costs for your commerical property by utilizing colourbond steel. The materials used in the manufacture of colorbond are some of the most advanced and toughest, featuring “Thermatech solar reflectance technology”. Allowing the roof to reflect heat in Australia’s hot weather in the summer months and reducing the pressure on your heating and cooling system. Your building will stay cool in the summer and warm in the winter, saving you money! Ease of installation is a big plus too. This material is lightweight compared to more traditional roofing materials. This makes it a little easier to handle and carry, which can translate to less time for installation. Therefore saving you money in the building and development stages and making it a more cost-efficient commercial roofing solution. Maintenance is minimal when you choose colorbond for your commercial roof. Requiring less maintenance, than traditional roofing. The colour is bonded to the steel so it does not require painting often unlike other types of metal roofs. 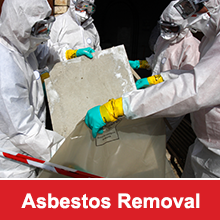 There is also no need to replace shingles frequently. In addition to these advantages, colorbond steel provides resistance to corrosion, differing from other metals used for roofing. The steel base is resistant to common problems like cracking, chipping, and peeling. You don’t have to worry about termites, unlike wood-based roofs and it is also fire resistant. Colorbond roofs are a good idea for any type of building that has no pitch or only a little pitch, allowing the water from rain to run off much easier. With all the advantages of colorbond steel roofing it is easy to see why more people are choosing this option when it comes to their commercial roof. If you would like any further information about Colourbond Steel Roofing or Commercial Roofing please do not hesitate to contact one of our friendly staff members.